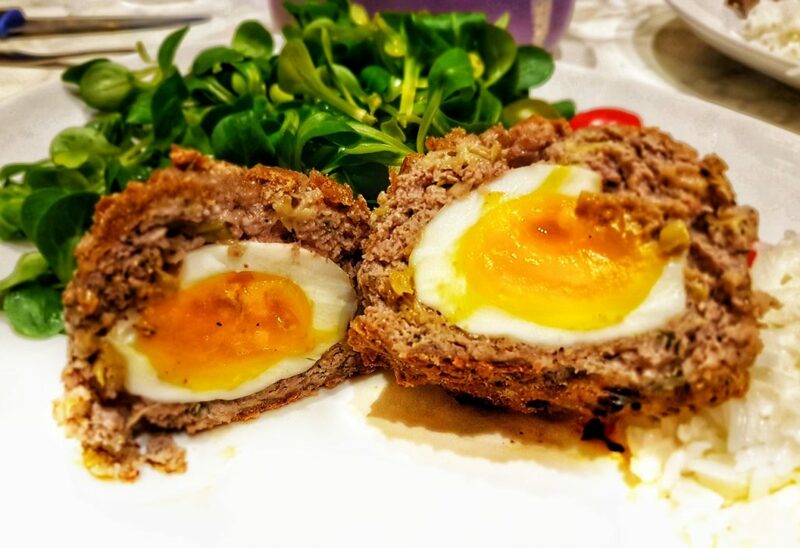 I’d been wanting to try to make Scotch eggs properly for a while, but never really got round to it. I often bought ground meat with that purpose in mind, systematically resulting in it being used for something else. I probably felt intimidated by the complexity of the recipe, but I was over thinking it. Anyways, I’ve finally got round to it and I’m loving the results. 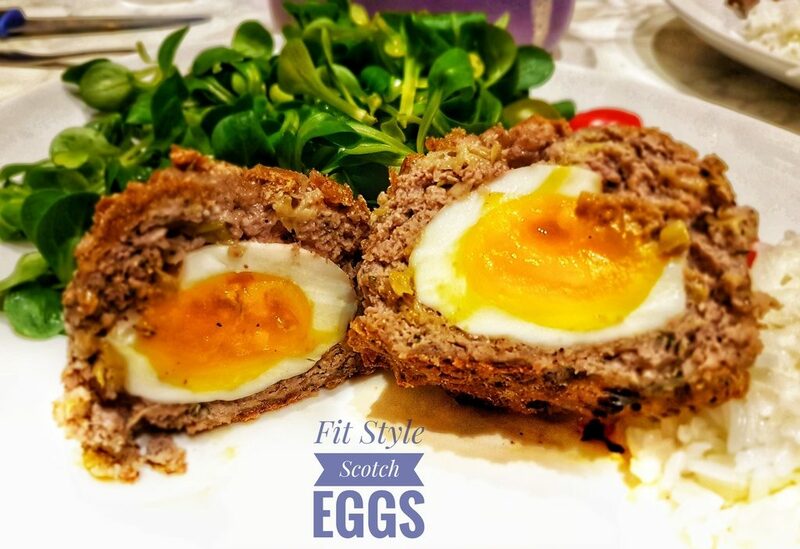 Obviously this version of mine (adapted from a Jamie Oliver’s recipe) has been modified and tailored on my macros. I tried to reduce fats, because they were pretty high, balancing them with carbs and proteins. They’re a great time saver and a fantastic solution for a quick meal. When prepared the day before, for dinner, if there are some leftovers you’ll have a great meal ready to carry along the next day. 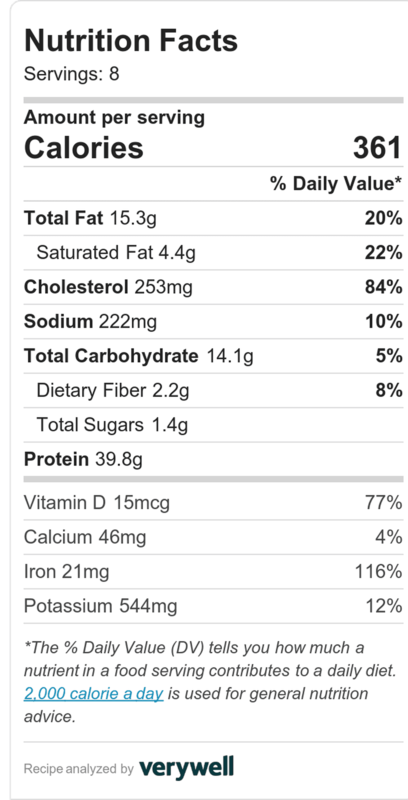 I’ve been thinking about this recipe during the building muscle season (bulk), because that period is pretty tough for me. I hardly reach the daily macro intake and often I find myself in debt of carbs, proteins or fats. So I tweaked the real deal and ended up making it during cutting, because it’s nourishing and fills me up. 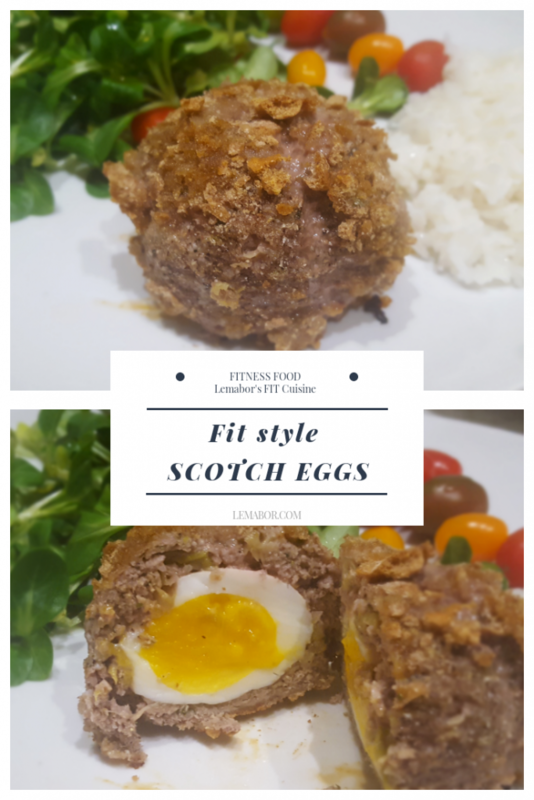 The fit style Scotch eggs are ready to eat in 45 minutes. 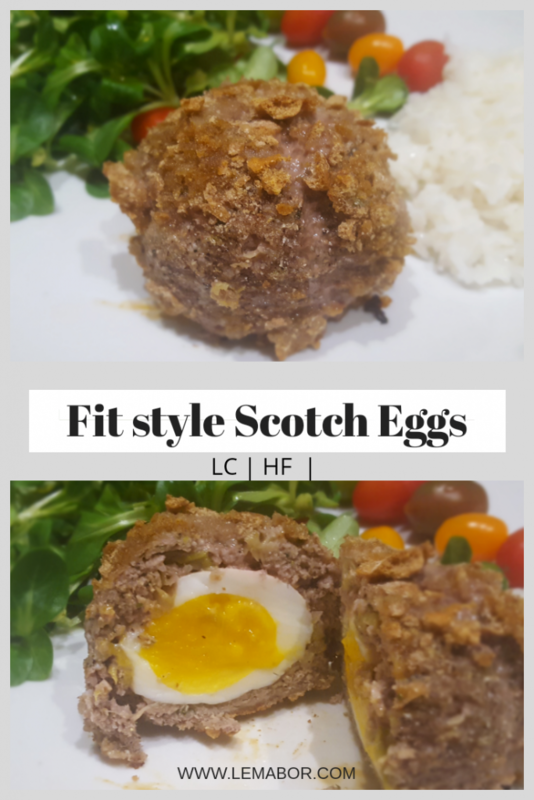 To make Fit style Scotch eggs, I spent a total of €16.86 and €2.10 per portion. You can put it together in 45 minutes! Grab 3 bowls and fill one with buckwheat flour, one with slightly beaten pasteurised egg whites and the last with roughly ground wasa. Put the eggs in a pan, cover them with cold water and bring them to a boil. Let them boil for 3- 4 minutes then pull them out and let them cool in very cold water. Once cooled, peel them and set aside. Cook for 10 minutes in boiling water or steam them in the microwave for 5 minutes adding some water on the bottom. In a bowl add the ground meat, parsley, mustard, leeks and spices. Combine well and divide into 8 balls. Each ball has to be lined up on a piece of plastic wrap and flattened in a round shaped pattie. 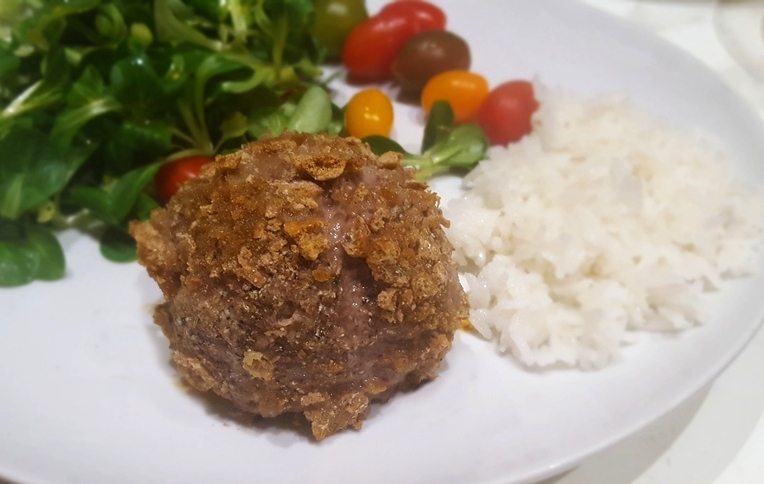 Flour the egg and put each one in the middle of the pattie. Help yourself to plastic wrap moulding the meat around the egg trying to get an evenly smooth meatball. Flour the balls then roll them in the flour, dip them in the egg whites and finish them in the ground wasas. Line a tray with baking paper and put the balls on it.Broil for 25-30 minutes at 200°C. Grab 3 bowls and fill one with buckwheat flour, one with slightly beaten egg whites and the last with roughly ground wasa. Put in a pan, cover them with cold water and bring them to a boil. Line a tray with baking paper and put the balls on it. Broil for 25 minutes at 200°C. Nutritional values are for each portion.